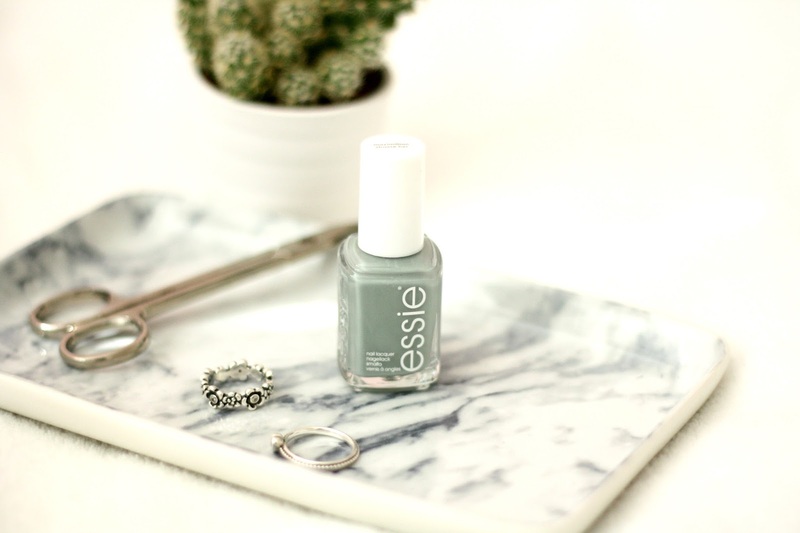 Essie is a nail polish brand I’ve only just dabbled in – after winning a giveaway that landed me 5 of their products. One of them being Maximillian Strasse-Her. Maximillian Strasse-Her is described as a ‘cool grey-green nail polish’ which I totally agree with. It doesn’t look too appealing in the bottle, its almost a groggy colour but somehow it looks absolutely stunning on the nails. I chose this colour because Lily Pebbles and Vivianna Does Makeup talked about it quite a lot and I just wanted to see what it was all about. I must say I don’t own another colour like this in my collection as its quite unique. Its definitely the perfect summer to autumn transitional shade too as its very neutral. The other great thing is that no matter what you’re wearing it pretty much matches everything with its neutral cool tones. As for applying, it applies like a dream. Essie polishes are definitely worth the £7 or so in my opinion. I needed two coats of this to get it very opaque which I thought was pretty good. It doesn’t have a thick consistency nor does it have a very thin one, the perfect balance for a nail polish. All in all I’m totally head over heels for this, and its probably going to be on my nails the majority of autumn/winter! Whats your favourite Essie nail polish shade?